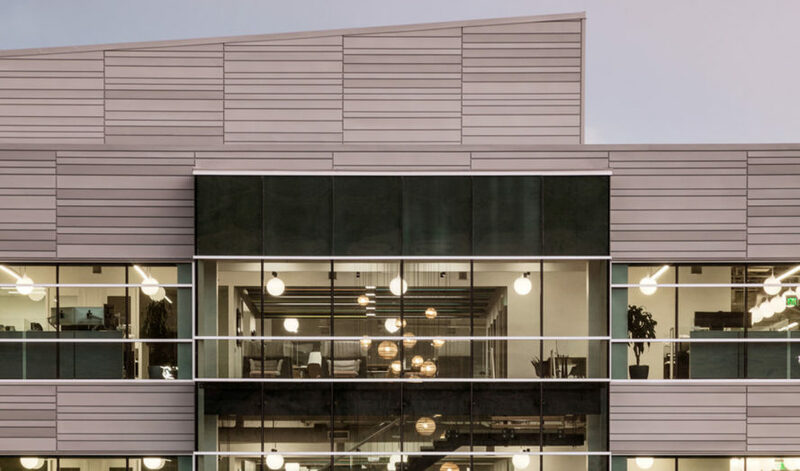 Classic design and modern furniture blend together in this headquarters for Ancestry.com, the largest network of genealogy and historical websites on the web. US-based firm Rapt Studio designed the space by emphasizing social connections and blending objects to reflect the company's focus on the idea of shared heritage. The architects conceived the space as an open environment furnished with modern objects, classic design and common areas that encourage collaboration. Concepts of regional migration, genealogy, genetics, and data are embodied in the organization of the headquarters. Color is used as a symbol of diversity that references shared genetic heritage. It also acts as a signaling tool. Specific parts of the space reference genealogy in a direct way. A large, colorful art installation in the lobby represents diverse historical backgrounds of different populations. Fifteen different colors on this graph indicate fifteen main ancestries, while each column represent a sampled population and shared lineage. 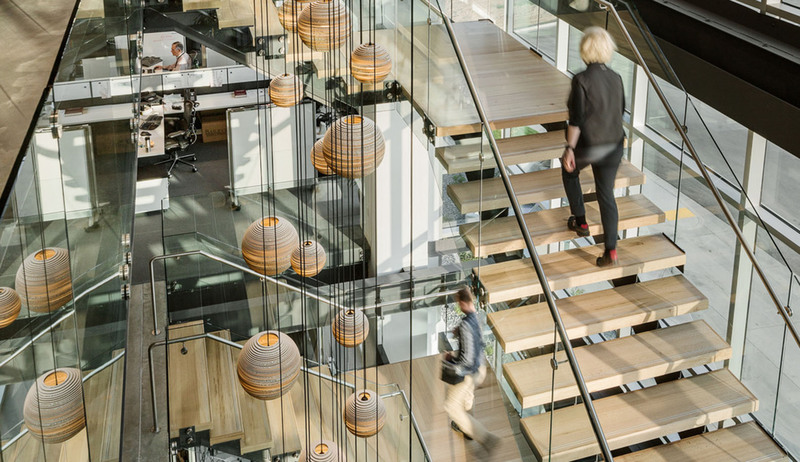 The architects conceived the space as an open environment furnished with modern objects, classic design and common areas that encourage collaboration. Concepts of regional migration, genealogy, genetics, and data are embodied in the organization of the headquarters. Color is used as a symbol of diversity that references shared genetic heritage. It also acts as a signaling tool. Specific parts of the space reference genealogy in a direct way. A large, colorful installation in the lobby represents diverse historical backgrounds of different populations. Fifteen different colors on this graph indicate fifteen main ancestries, while each column represent a sampled population and shared lineage.